Blind tasting is one of my favorite activities. It is fun whether you are new to wine tasting or a pro. A typical blind tasting experience will feature two white and two red wines. We will discuss characteristics of different grape varietals, I will walk you through tasting methods, and then the group will discuss and guess the type of wine for each pour. You will learn basic wine tasting etiquette, tips and tricks, and maybe even walk away with a new favorite wine. If you like wine and you like food, this experience is definitely for you. You will learn some basics of wine and food pairing, and get a chance to experience some combinations you may not have tried before. 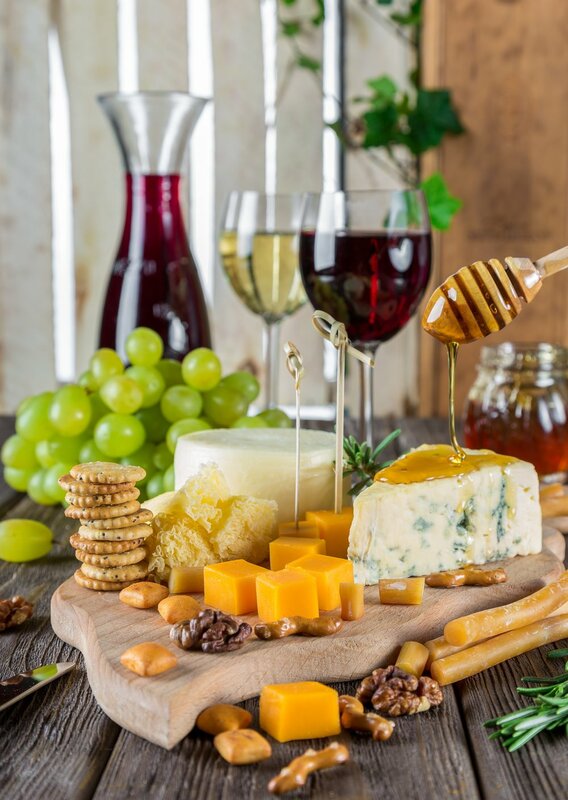 Keep it simple with wine and cheese, experience unique pairings with wine and tapas, or go all out with a five course pairing dinner. I will work with you to customize a menu that is just right for your event. Wine and cheese pairing starting at $479 for up to 10 people. Do you love Pinot Noir? Or perhaps you’re more of a Chardonnay person? This experience is built around your preferences. We can do vertical tastings, just white wine, just red, whatever you like! We will take a deep dive into the wineries we are tasting from and discuss the regions where their grapes are sourced, their unique winemaking process, and how they compare to other wines in the area. An enjoyable wine tasting experience and a little knowledge to walk away with. "From wine aficionados to beginners looking to deepen their knowledge, Santa Barbara Wine Concierge is the best way to create an intimate tasting environment anywhere."